Grey’s life has been nothing but a struggle. A constant downward spiral, and it seems even reality has turned against him. Grey awakens to find that the world has gone quiet, the streets empty. You must find help. 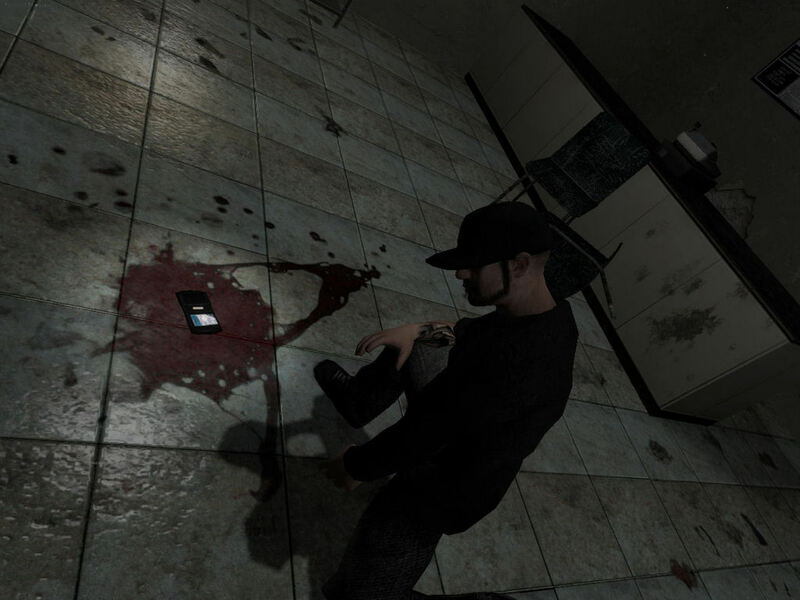 Explore the grim world Grey lives in a completely new and unique world, and find clues to his shattered past. 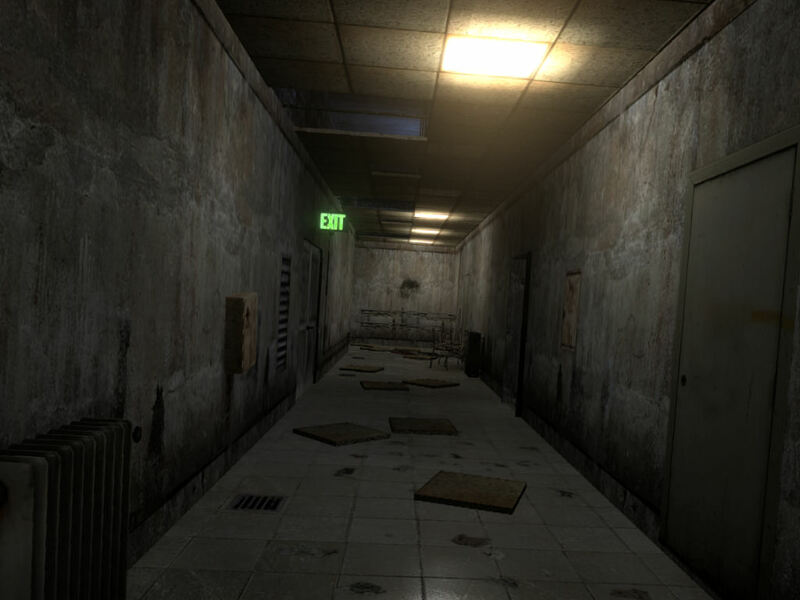 Grey is a total conversion Half-Life 2 horror modification where the player must solve puzzles, fight to survive, and find out what is happening to the world around you. We have made a lot changes to the base Source engine and have added countless new mechanics in the mod such as the objective indicator, portable medkit, donator based extras, pickup animations, failed reloads, new picture based GUI elements and much, much more! Work is going on slowly but steadily on the modification. In the past weeks, several new map areas and models have been added to the current build - in this media update, I would like to show off those for you. Let's start with our progress on the maps. Below you can see two corridors, both part of the deserted alleys of Bridgeville full of abandoned shops, trash, filth and danger. 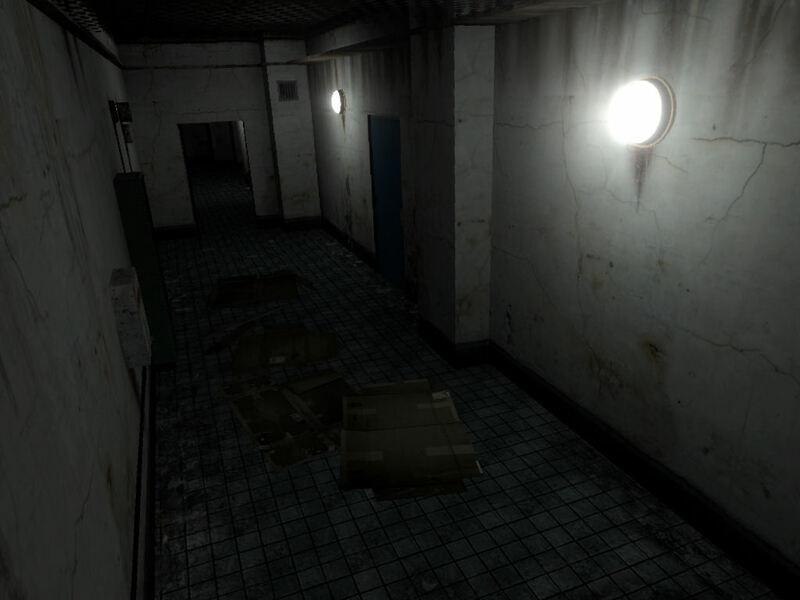 These areas will house a great number of puzzles and closed doors - both of which must be overcome by the player. The world model of our playable character has also been completed - so prepare to see him in person throughout the cutscenes of the game. Currently, it is these set of cutscene-sequences that need a lot of tweaking and triggering; however, I am pretty sure that once they are ready, they will be crucial in creating and maintaining the gloomy atmosphere of the mod. 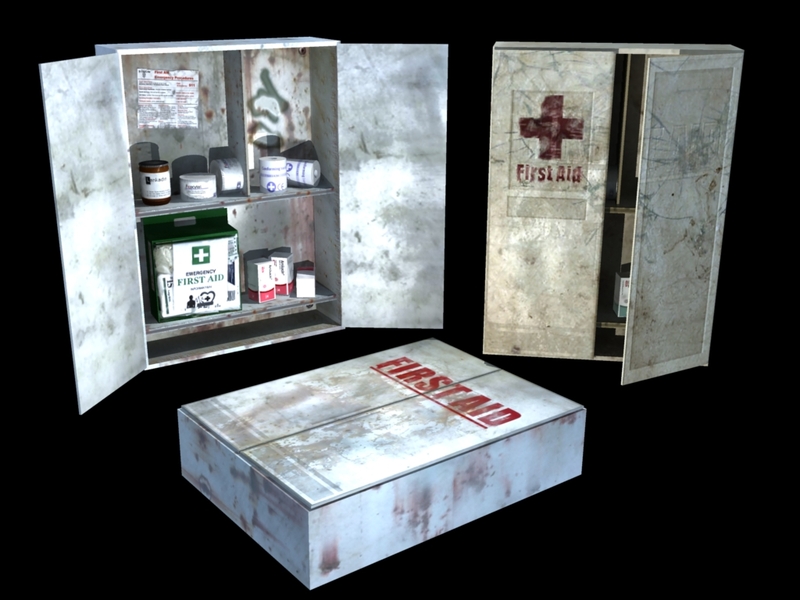 Of course it is not just the model of our hero I was working on lately: completed modelling tasks also include among others the first-aid locker, where we can obviously replenish our health when needed. There are several other improvements and new stuff that you would surely like - however, I do not want to give away everything about our frightening urban horror adventure in this news post... So let me conclude this update again with my plea: if you like what you see, please continue watching Grey, and do not hesitate to share your thoughts with me. I like the cohesive style (something many mods lack these days). I love the feel of your mod, all gloomy and such, and your main character seems naturally put into the environment. Great post! I really like what I see, really good looking and interesting. Can't wait for further insight into the atmosphere of the mod. What program do you build with? I do autocad drafting and can get around. How many programs do you generally need to build a (mod), scene? Thanks for your patience with me and your input. I use 3d studio max for modelling and animating. Valve hammer editor for mapping. Photoshop to texturing. I can decompile models with cannonfodder's studiocompiler and compile with GUIstudioMDL. Thats all i think. Hell Yeah this Mod Looks Terrific! You are killing me man, I just want to stop mapping after seeing these. Very good things. Looking good. And I love that your having cutscenes. I love cutscenes done in games. Look good, nice tile texture here ! This reminds me of far cry little but then better. I hope this is not a regular mod for hl2. I am tired seeing too many noobs creating a map and call it their mod. I will be tracking this one. What release date are you aiming at?